You might be a Sydneysider just becoming interested in the birds you see, or a tourist looking for a fun, local eco-experience. Perhaps you're a pro (in that case, send us some tips and your own story), or maybe you're just looking for a little fun in this big giant world of ours. Regardless of how you wound up here, hello and welcome! We truly love birds and want to share that with anyone living in or visiting Sydney or Australia and we encourage you all to get out there and start looking at birds. Sydney Bird Club was founded in 2016 by Stephanie Chambers and Amy Ranck. The Sydney based couple are bird obsessed artists who run Outer Island, a sustainable Australian souvenirs company with a focus on native plants, animals and habitats. Stephanie (Strongie) is a native New Yorker who moved to Sydney with Amy, a native Sydney-sider after living in Brooklyn together daydreaming about sandy beaches on snowy days. Finding that planning an afternoon bird outing in Sydney required endless browser tabs and open books, they decided to share their bird experiences with a focus on holistic simplicity. Sydney Bird Club is chock full of local Sydney tips on where to spot birds and inspiring stories about birds in Australia. We write from experience on places we have actually been to and include some other local tips to make a fun day of it, including coffee stops, food, bathrooms, water and pubs. 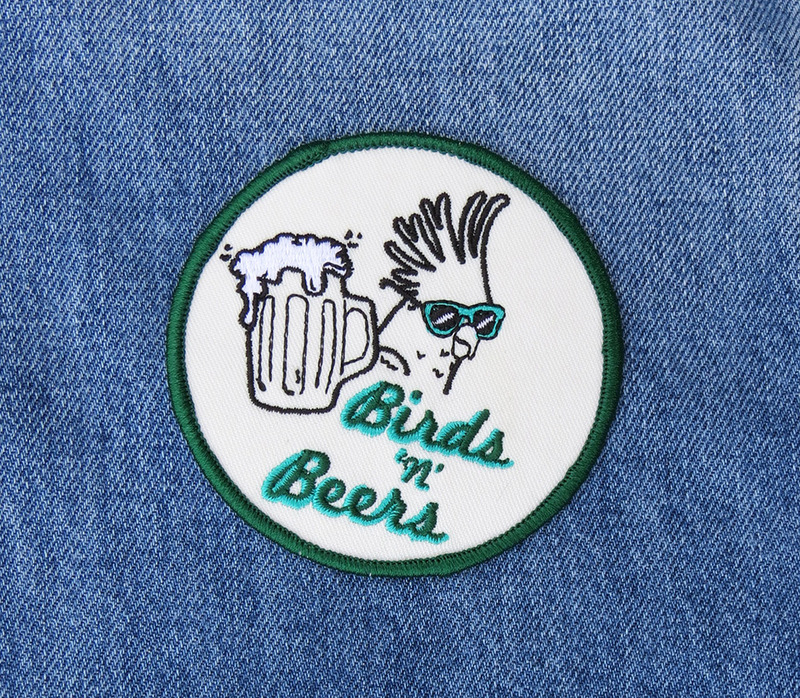 Since we find that beer pairs well with birding, our official motto at the Sydney Bird Club is 'Birds N Beers'. Whenever we go out, we follow our bird-watching with a pint at the pub afterwards to talk about the birds we saw. So in our recommendations for Sydney or Australian walks, we always recommend a great nearby pub. So! We hope you like our tips and we would love to know what your tips are as well so don't be shy. Become a member to receive our quarterly e-newsletters (it's free!) - Click here to join. Stephanie at Inala Jurassic Garden, Bruny Island.